Originally released back in 1995 the 'Fingerprintz EP' is truly a deep house masterclass. Forget all these records coming out today claiming the 'deep house' title, this is what it's all about right here - on one slab of wax. KC is a legend and at this stage in the game he doesn't need an intro, every single track featured here is an absolute winner, all drenched in that classic Kerri swing and style. Timeless productions. It's hard to pick a favourite as they are all amazing, every possible mood is covered making this whole 4 track EP your new 'always in the bag' staple. From the driving upbeat funk of 'Where is love' to the totally stripped back tribal diva sampling 'I remember' KC has you covered. It may sound cliched, but they simply do not make them like this anymore! Essential, essential business here from one of the true masters of the game. 100% classic. This is one of a series of official Madhouse / Kerri Chandler reissues for 2017. 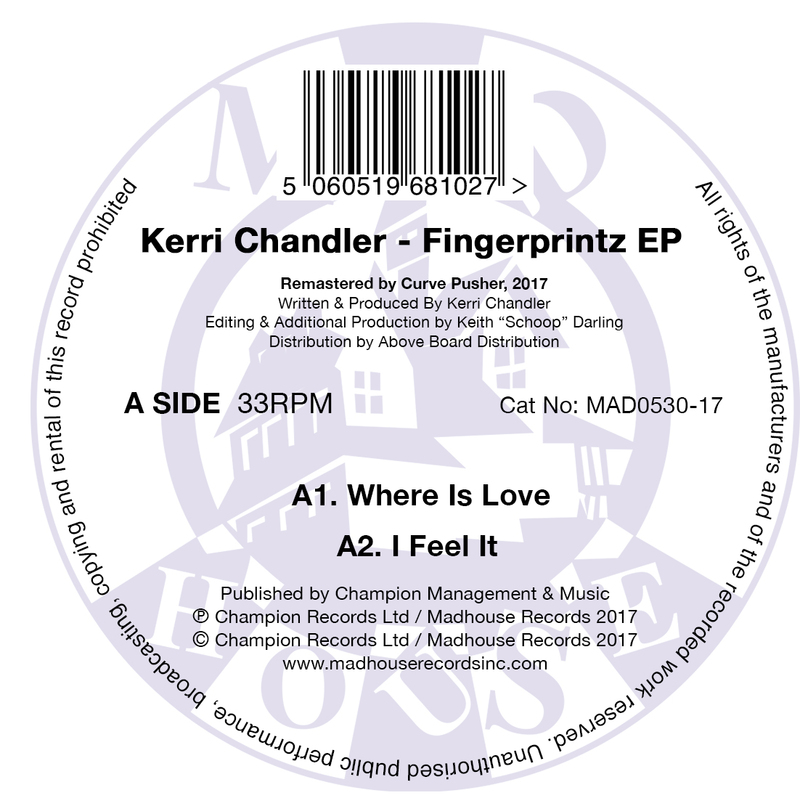 Every title has been remastered by Kerri Chandler himself, from all original sources and each reissue has been legitimately released in full conjunction with Kerri and Madhouse records. And, as if that wasn't enough, all the reissues will be coming in the classic Madhouse records house bag. Snoozing not advised!